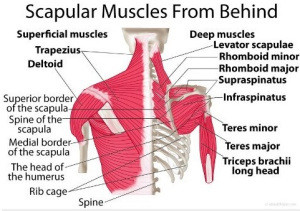 Awesome insight into sensations in upper body and what to do about it! Weakness at the front of the shoulders can cause tight or tense muscles in the back. Pain or tightness in the shoulder area often reflects a person’s overall emotional and physical state. A stressful lifestyle, emotional strain, physical injuries, and fatigue can contribute to constriction and pain in the shoulders. When we experience people’s actions and behaviors toward us as aggressive or controlling, it makes us feel powerless, angry, resentful or out of control. If negative emotions are not released, they can become toxic to the entire system, leading to all sorts of complications.